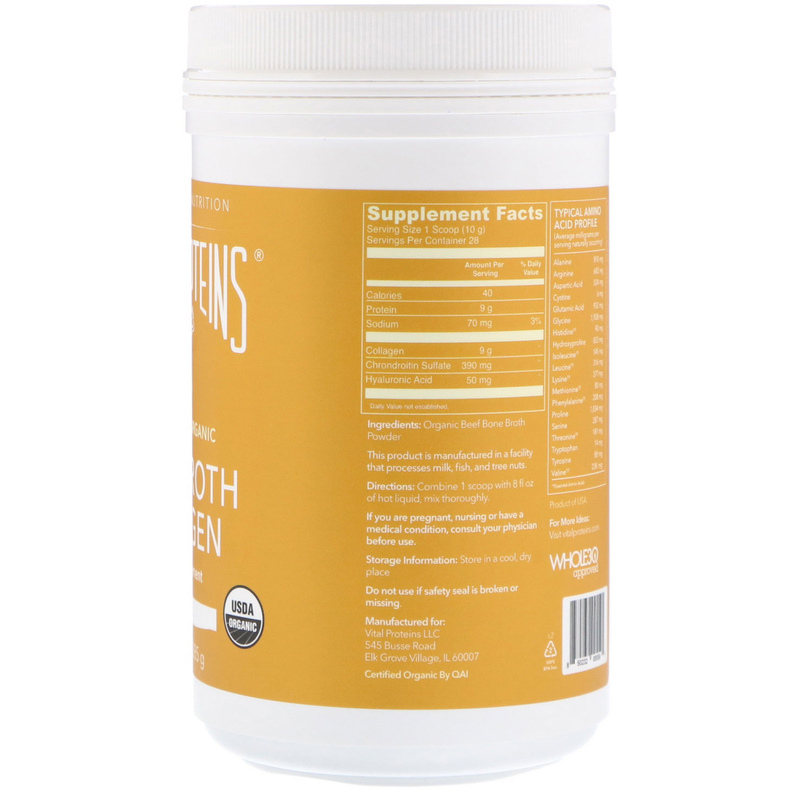 Our nourishing bone broth collagen aids in digestion, supports the immune system and helps promote overall health. Bone broth is nature's richest source of collagen and is a valued part of traditional diets. We believe that whole-food-based nutrition containing collagen is beneficial for looking and feeling your best. At Vital Proteins, we are committed to providing products that help supplement and enrich your diet with collagen. 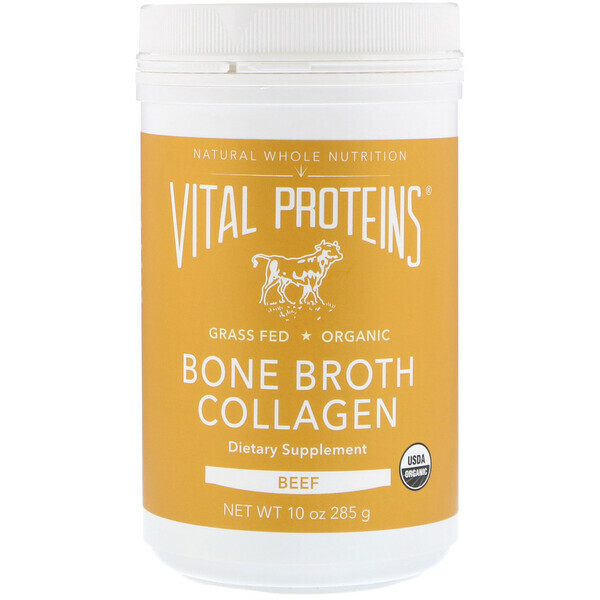 Vital Proteins' Beef Bone Broth Collagen is crafted with bones from USDA Organic, grass-fed, pasture-raised cows and is simmered slowly to extract the maximum amount of nutrients. The result is a pure, nourishing broth that is packed with collagen and other vital nutrients. With its neutral taste, it's convenient to use and mixes well in water, savory beverages, and your favorite recipes. Combine 1 scoop with 8 fl oz of hot liquid, mix thoroughly. Organic beef bone broth powder.